This week has seen Scotland's Eklipse Sports Radio announce its launch line up of presenters, as the station - which has seen its launch repeatedly delayed - prepares to go live on the Central Scotland DAB multiplex, in place of the current test service. The exact launch day is still under wraps. The station defines itself as "a specialist sports news and talk service for Scottish sports fans, featuring sports news, actuality, commentaries, phone ins and discussions. Complimented with Classic Rock with some Modern Rock at non-core times. Speech will usually consist of 30% within any 4 hour programming block during daytime." Programming will, with the exception of some live events, be broadcast from their Glasgow studios. The station will launch ahead of Scotland's biggest summer of sport, culminating with the Commonwealth Games at the end of July. The marketing team at Global Radio have been busy in the past week spreading the news about Real Radio's imminent transition to Heart in Wales, northern England and central Scotland, prompting a number of news reports in regular media outlets. Heart officially launches on Tuesday 6th May, but elements of Heart's presentation have been creeping in during recent weeks. If previous 'Heart attacks' on other stations are anything to go by, Real Radio's regular programmes will finish on Friday 2nd May, with a weekend mostly consisting of music from Heart's playlist and "Heart is coming" sweepers. As mentioned in last week's bandscan:uk, in north Wales the change also coincides with a bigger change where Capital replaces Heart and Heart replaces Real Radio. Oldham's 96.2 Revolution was found in breach of its licence conditions. Ofcom released details in its latest Broadcast Bulletin of a failure to provide recordings of The Revolution's output as part of its review of the station's output following a change of control. Ofcom said "The failure to provide Ofcom with the recordings requested is a significant breach of Oldham FM Ltd’s licence, which, in this particular case, significantly affects Ofcom’s ability to assess the potential impact of the change of control on The Revolution’s programming." 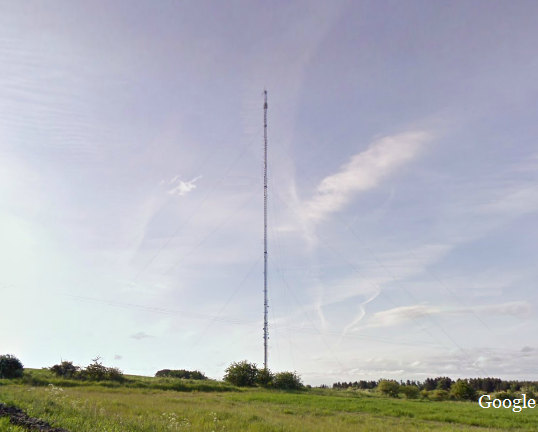 After last week's mention that there's not been any news about local DAB expansion since last year, here's the official line from Arqiva/Now Digital about Derbyshire's local DAB multiplex: "The local multiplex for Derbyshire will be launched in 2014. We're sorry but at the moment we can't give a more precise date."